With only 3,000 inhabitants, La Pineda (Vila-Seca) is a small town located in the north-east of the Iberian Peninsula, at Tarragona Province (Catalonia). However, it has to offer some peculiarities which become La Pineda a great place to go on holidays: Its wide beaches, its attractions parks and its night life will amuse all people, from families, young people, older people and everyone else. Also, La Pineda is only 1km away from Salou, which means that people can go from La Pineda to Salou by foot in only 30minutes aprox. (or you also can go by public bus 🙂 ). 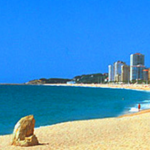 La Pineda is located in the Gold Coast (Costa Dorada). 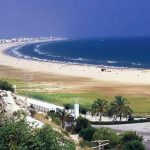 This coast is famous for its beaches and its golden and soft sand, its warm average temperature both in summer and in winter, and its clear sea-water. 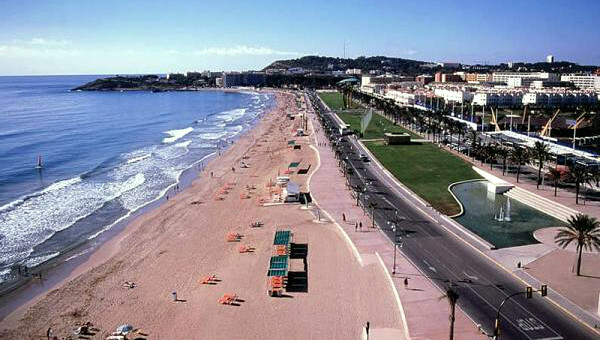 The promenade of La Pineda measures more than 2 kilometres in length (one of the longest of Catalonia), so there is enough space to rest in the beach, take sunbathes and swim without crowds. 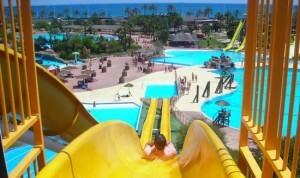 – Aquopolis (Water Park): Located in the center of the town, by visiting Aquopolis you will enjoy a huge variety of water attractions and swimming pools. Aquopolis is the perfect place to stay in a hot summer day enjoying their aquatic attractions and their giant swimming pools. – Port Aventura (Attractions Park): The older and most famous amusement park in Spain. 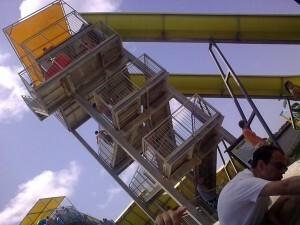 In there you will enjoy many impressive attractions as Dragon Khan roller coaster and a lot of live spectacles. It also has an independent water park. You can go to Port Aventura by car or by bus from La Pineda and from Salou. – Golf Courses: If you enjoy practicing golf, you can find some Golf Courses near La Pineda, as Lumine Golf. 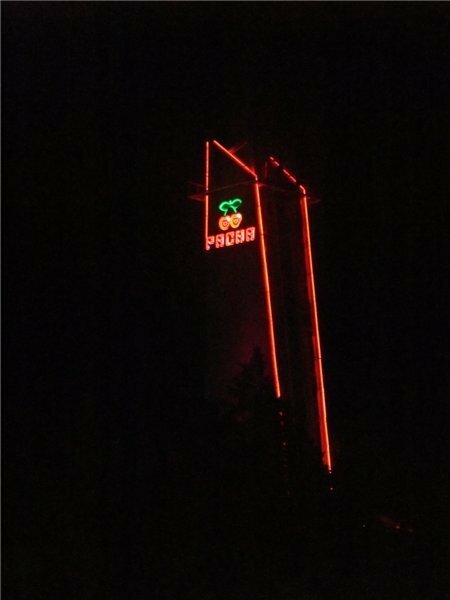 Pacha La Pineda is the main discotheque of the zone. It was founded in 1985 and nowadays is considered as an icon in the Golden Coast. 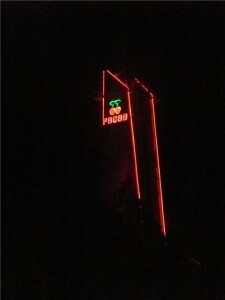 During all the summer lots of people come there every night to Pacha to enjoy its thematic parties and DJ’s. Besides, La Pineda has many more places to visit during the night, as the terraces or pubs located in the town. Also, if you want more fun you can take a bus to Salou, which is always overcrowded of young people. 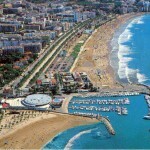 – Salou: Salou is a reference for the holydays of Spring and Summer in Spain. Furthermore, the profile of the people who visit the town is highly various: Since families with children, couples, and young people. 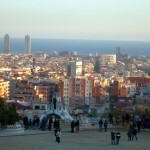 – Barcelona: Read here the best places to visit in the main city of Catalonia. – Top destinations in Spain: Check here the most touristic cities of Spain, as Barcelona, Madrid, Seville, Valencia or Bilbao.